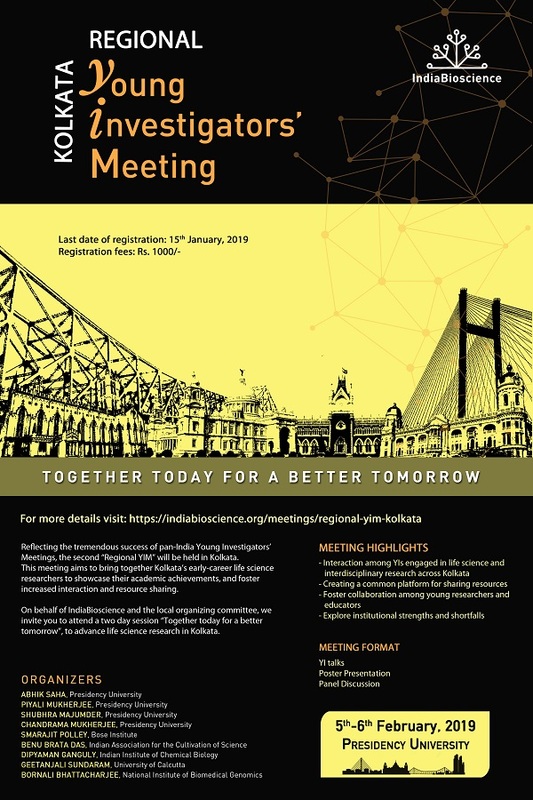 Young Investigator Meeting-Kolkata Chapter, “Together today for a better tomorrow”, Feb 5-6, 2019 Venue: Presidency University Kolkata. 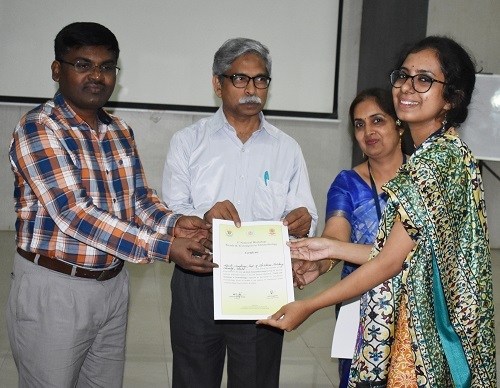 Abanti Chowdhury was selected for the 5th National Workshop, Trends & Techniques in Chronobiology sponsored by University Grants Commission and Chattisgarh Council of Science and Technology that was organized by the Center for Translational Chronobiology, School of Studies in Life Sciences, Pt. 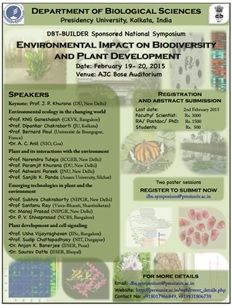 Ravi Shankar Shukla University, Raipur, from 02.03.2019-08.03.2019. 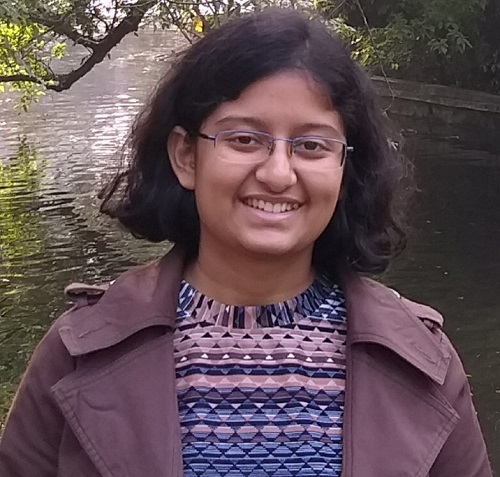 Department of Life Sciences, congratulate Titir De (PG1) for obtaining the prestigious Khorana Scholarship 2019 funded by DBT(Govt of India), Indo-US Science and Technology Forum (IUSSTF) and WINStep Forward, to work as a summer internship in Yale University, USA. 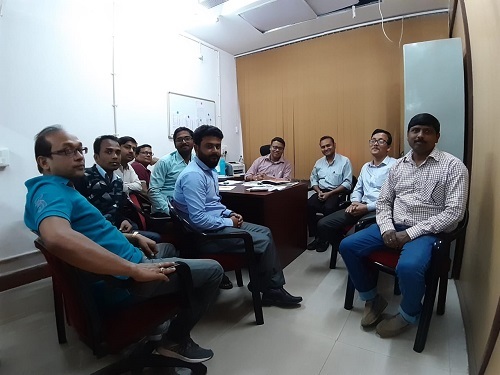 Prof. Hiroyuki Koyama, Gifu University, Japan visited Department of Life Sciences on 14.02.2019, gave a talk and interacted with the students and faculties. 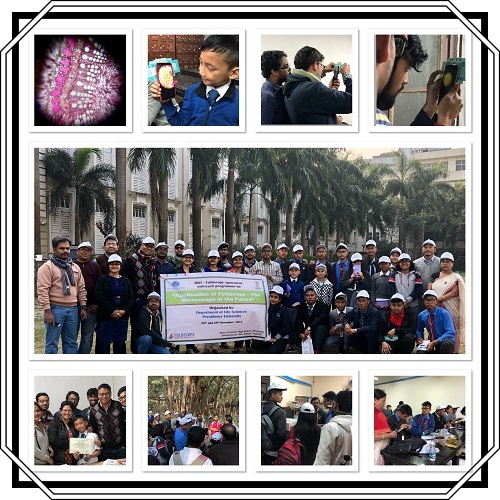 A two day outreach workshop on "Applications of Foldscope- the microscope of the future", was organized by the Department of Life Sciences on the 28th and 29th of December 2018, coordinated by Dr. Paramita Chaudhuri Basu. The purpose of the workshop was to introduce school students to higher education and on-field activities. Two schools from the NorthEast state of Manipur visited Presidency and interacted with departmental faculty, research scholars and students. The students visited faculty research labs, central instrumentation facilities and greenhouses. Departmental students acted as academic mentors, and assisted the visitors with sample preparation, observation and data collection. The highly successful event was an excellent, one of its kind event that helped to bridge the academic divide between high school and university education. 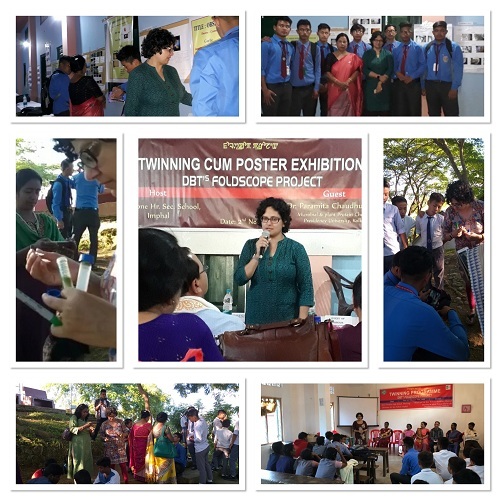 Dr. Paramita Chaudhuri Basu interacted with school students from Manipur and Chennai as part of a DBT Foldscope Twinning program from 31/10/2018 to 02/11/2018. She organized and conducted an on-field outreach activity in Manipur that involved active student participation. Students prepared samples, viewed, and documented them using the foldable paper microscope under her guidance. 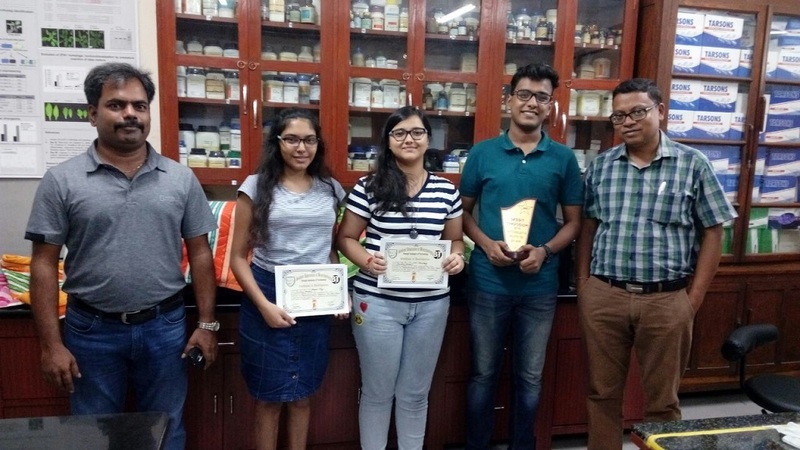 Congratulations to Shreyasi Neogi, Sristi Chakroborty and Saireet Misra, of UG sem 5, Department of Life Sciences for receiving the second prize in poster presentation at the ITSE sponsored One Day Seminar on "Biotechnology in Industry - The New Wave" organised by the Student Association of Biotechnology, Bengal Institute of Technology, Kolkata (SABBIT) held on 28.09.2018. Premas Life Sciences Pvt. Ltd. representing Illumina Technology, Oct 3, 2018. · Thermo Fisher Scientific, “The application of Semiconductor Sequencing in basic and translational health research”, Sep 19, 2018. 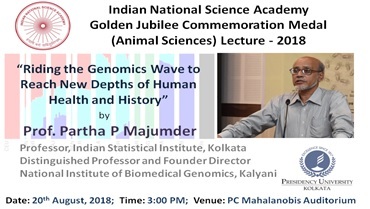 · Prof. Partha P Majumder, “Riding the Genomics Wave to Reach New depths of Human Health and History”, Aug 20, 2018. · Dr. Sreeparna Banerjee, Middle East Technical University, Ankara, Turkey, “Inflammation and Colorectal Cancer”, July 25 th, 2018. 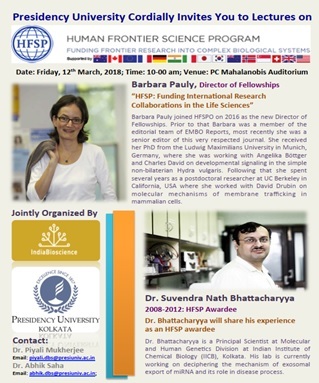 Dr. Barbara Pauly, Director, Human Frontier Science Program, “ HFSP: Funding International Research Collaborations in the Life Sciences ”, Mar 12th, 2018. 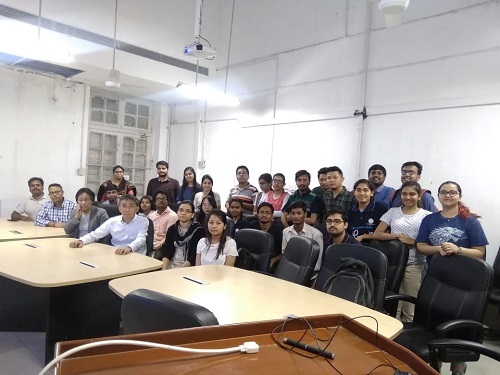 · Dr. Suvendranath Bhattacharya, Molecular Genetics Division, IICB, Kolkata, “Journey as a HFSP fellow ”, Mar 12th, 2018. · Prof. Anindya Dutta, Biochemistry and Molecular Genetics Division, University of Virginia, USA, “ Noncoding RNAs in control of differentiation and cancer ”, Nov 16th, 2017. 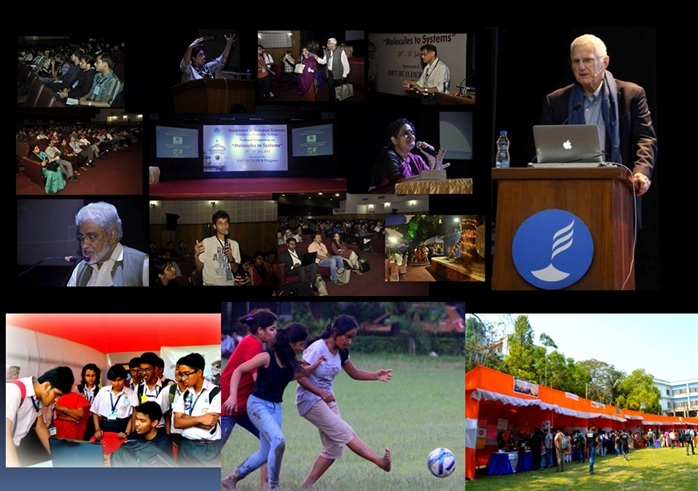 Prof. Bruce Alberts, University of California, San Francisco, USA, “ The Problems and Challenges in Biomedical Sciences: Keeping Science Healthy ”, Oct 12th, 2017. · Dr. Karin Peterson, Laboratory of Persistent Viral Disease, RML, NIAID, NIH, USA, “ The Alpha to Zikas: Studying viruses in the Brain ”, Nov 10th, 2016. · Dr. Robin J.M. Franklin, Wellcome Trust-MRC Cambridge Stem Cell Institute, UK, Science and Beyond Lecture series by British Council, “Brainstem cells and brain regeneration”, Nov 10 th, 2016. 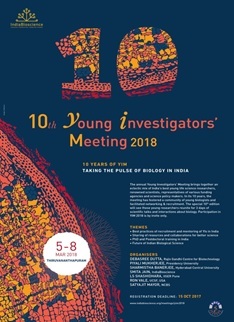 · Young Investigator’ Meeting 2018, in association with IndiaBioscience, March 5-8. “Brain Awareness Program” in association with West Bengal State Science Congress, Feb 29th - Mar 1st, 2016. 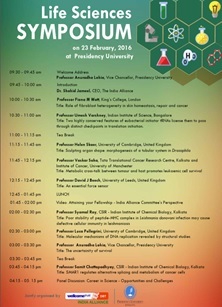 “Life Science Symposium” in association with Wellcome Trust-DBT, Feb 23, 2016. 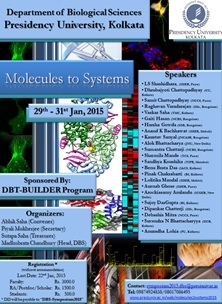 “Brain Awareness Week” in association with Dana Foundation, USA and NBRC, Manesar, March 9-12, 2015.